UNITED NATIONS, Mar 16 2015 (IPS) - An internal United Nations expert report released Monday by the non-governmental organisation AIDS-Free World reveals serious contradictions in the U.N.’s reporting of sexual exploitation and abuse by U.N. peacekeepers. Secretary General Ban Ki-moon released his 2015 update on Feb. 13. In an open letter addressed to “Ambassadors of All United Nations Member States” sent Monday, AIDS-Free World wrote, “We know that the UN has never disseminated the Expert Team’s Report. We therefore suspect that few if any governments are aware that independent experts, commissioned by the Secretary-General, made pointed criticisms about the way sexual violations in UN peacekeeping missions are handled. 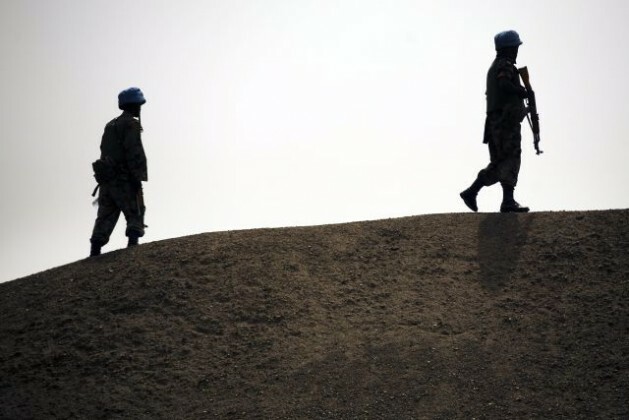 IPS spoke with Paula Donovan, co-director of AIDS-Free World, who said that the expert team that compiled the 2013 report had the required expertise to address the complex problem of abuse by U.N. peacekeepers and asked pressing questions. Donovan explained that by contrast, the secretary-general’s recent report used inadequate and incomplete reporting mechanisms that didn’t account for the complexities of addressing an institutional culture of impunity towards sexual exploitation and abuse. “The U.N. does not know how serious the problem of SEA [sexual exploitation and abuse] is because the official numbers mask what appears to be significant amounts of underreporting of SEA,” the report said. For many reasons, therefore, victims of sexual assault may not feel confident to come forward, particularly if “they fear that the system doesn’t work, that justice will never be served and that they may be in a worse situation than if they hadn’t reported. “If you make it clear to people that you can demonstrate that it is a safer decision to report than to stay silent, that’s an indication that your programme is working,” Donovan siad. Donovan added that the U.N.’s focus on reporting “allegations” as against actual cases meant that its reporting bears no resemblance to reality. She also added that the numbers reported by the secretary-general were incomplete as well as inaccurate, because they did not include data from UNICEF, which has its own separate reporting mechanism. There are hopes that the High-Level Independent Panel on Peace Operations will help find practical solutions to issues of impunity and transparency within U.N. Peace Operations, including those raised in this report. Noting that the review panel was not entirely independent, given one of it’s members had been simultaneously U.N. under secretary-general in charge of Field Support for the first several months of the panel’s work, Donovan said that she still had hope that the review could address these complex issues. Donovan said that Aids-Free World has sent a copy of the expert team’s report to panel chair José Ramos-Horta and that “if he chooses to independently take this on and insist that the U.N. take this on than there is the possibility of success. “Under the leadership of José Ramos-Horta, it is possible that it won’t just be another panel,” she added. Ramos-Horta shared a link to an article about Sexual Abuse by U.N. Peacekeepers with his more than 30,000 Facebook followers on Mar. 6. Donovan told IPS that when Aids-Free World originally learned that there had been an expert inquiry, they wrote to the U.N. and asked for a copy of the report. “We were told that it was not a public document,” she said. Most governments have quite a clear Freedom of Information policy, which includes ways of categorising classified and unclassified documents. That is not necessarily so for the U.N. so it is unclear why this particular report was not released, Donovan said. Asked for a response, the Office of the Spokesperson for the U.N. Secretary-General said in a statement, “The proposals and initiatives presented to the General Assembly in A/69/779 reflect an integrated approach aimed at strengthening prevention, enforcement and remedial action in connection with sexual exploitation and abuse by United Nations personnel. “The report also revisits a number of proposals set out in the seminal 2005 Secretary-General report to the GA ‘A comprehensive strategy to eliminate future sexual exploitation and abuse in the United Nations peacekeeping operations’ which was prepared by a special task force chaired by Prince Zeid Ra’ad Zeid Al-Hussein, then Permanent Representative of the Kingdom of Jordan to the United Nations. Accurate data is crucial to the protection of the women, children and men suffering sexual abuse -=- and equally crucial is the changing of the institutional culture of impunity which will go a long way towards effective change. Trust is important to UN missions. This needs to be addressed NOW as mass sexual abuse destroys the fabric of the societies they are supposedly protecting.